Obituary for Annie Belle (Cormier) Barker | Jones Funeral Home, Inc.
Annie Belle Cormier-Barker, 88, a native of Lacassine, LA, and a resident of Gray, LA, passed away peacefully at 9:15 p.m. on Sunday, April 7, 2019. 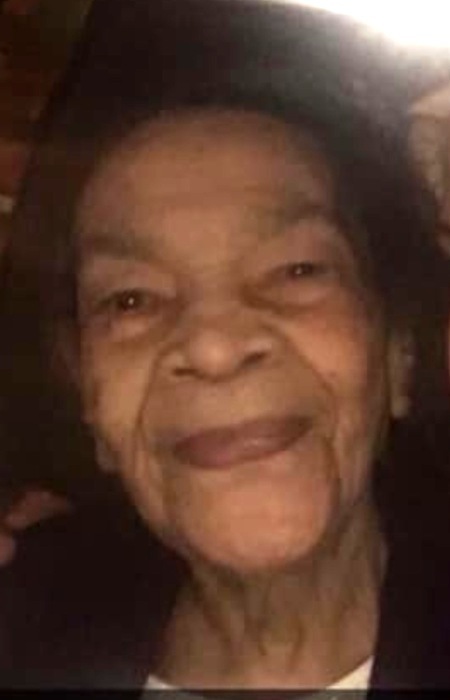 Visitation will be conducted from 9:00 a.m. until funeral time at 11:00 a.m. on Saturday, April 13, 2019 at Union Baptist Church, 1014 S. Main Street in Jennings, LA. Burial will follow in Silverwood Cemetery (Old Hwy 90). She is survived by her sons, Crawford, Jr. (JoAnn), Gary (Carolyn) and Terry Barker, Sr. (Vivian); daughters, Jacqueline Barker, Jonetta Wise (Glen) and Patricia Barker (Michael); twenty-eight grandchildren; thirty-one great grandchildren; and six great-great grandchildren; sisters, Joyce Andrus and Flossie Holmes; and a host of other relatives and friends. She was preceded in death by her husband, Crawford Barker, Sr.; sons, Don, Marvin and Lesley Barker; parents, Henry, Sr. and Mary Daigle Cormier; brothers, Wesley, Henry, Jr, Jules, Rodney and Curtis Cormier; paternal grandparents, Jules and Katherine Francis; maternal grandparents, Modestan and Martha Daigle.